Designer at Dox Design . Both a dreamer and a doer, Kaila has a knack for bringing her client’s visions to life. As the founder and lead designer of Dox Design, a design studio that focuses on the pet industry, Kaila will go all-in to help turn your vision into your reality. 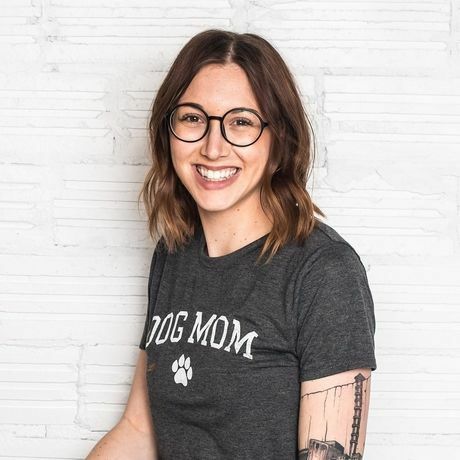 After a few years working in the agency world, Kaila decided to take her knowledge of design and love for dogs and combine them into one, creating Dox Design. When she isn’t behind the screen, you can find her walking Finley and Ferb in Downtown Grand Rapids with her husband Jordan, or sitting on the porch of Founder’s enjoying a Nitro Rubaeus. Dachshunds, Game of Thrones and Branding. I can clean an entire house in under an hour. How to pick a legible typeface. Kaila hasn't saved anything yet.